It was that time of year again. Staff were winding down, children were ready to move to their new class, displays were bare and… I needed to give my children a little memento or gift for their time with me. What to do? Is it another trip to buy them some stationary or small toys that will be left on the table at the end of year rush home? Maybe some sweets that they can enjoy before they have even left the school yard? What to do?!? I was amazed one year when someone I trained with gave her class a personalised goody bag to take home. Inside it contained a recipe for hot chocolate, some home made cookies and a little personalised hand drawn card with a poem on. If only I had the skills or the time to do that. 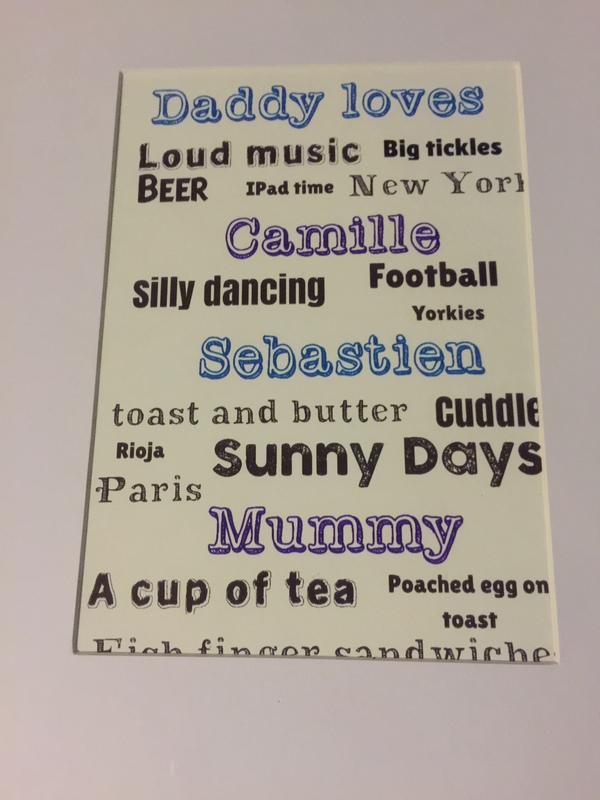 I was given a wonderful picture from the lovely Mrs T for Fathers Day, the kind that cost an arm and a leg on http://www.notonthehighstreet.com. She had compiled a list of lots of my favourite things and then painstakingly played about with fonts and layout in Publisher. I loved it, but there must have been an easier, quicker way. 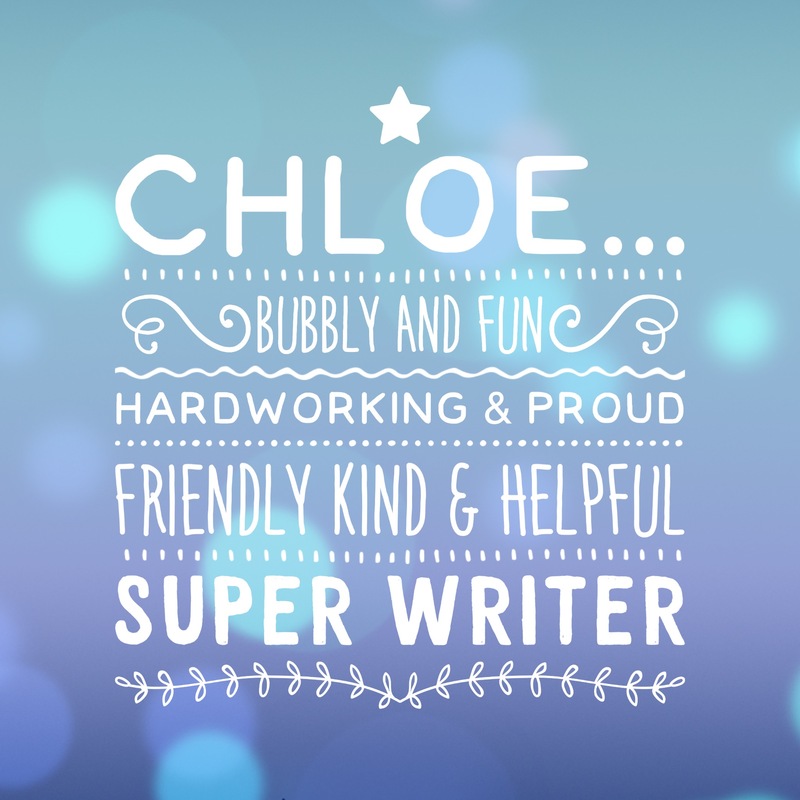 I then saw a tweet from @OhLottie about the app Typorama, in which she had used this to write a personalised letter to her children. I immediately went and downloaded the app (which was free at that time but is now £2.29 but well worth it). Typorama is an app which I love. It allows you to create beautiful typography from your text and photographs, creating a professional display. Its so simple. Choose a background, or upload a photo from your camera roll, type in your text and… done. The text is instantly displayed over the background. You can choose a range of styles by scrolling through the bar on the bottom, and if you tap on each style a number of times it will use the same font but alter the layout and images in the font each time, meaning you can choose a favourite font and then tinker with its layout. I was instantly in love with it. I decided not to do a personal letter or message, but to replicate what Mrs T had done for me, but based upon my class and their achievements. I decided to choose a some of the children’s achievements and some of my favourite personal moments and traits. 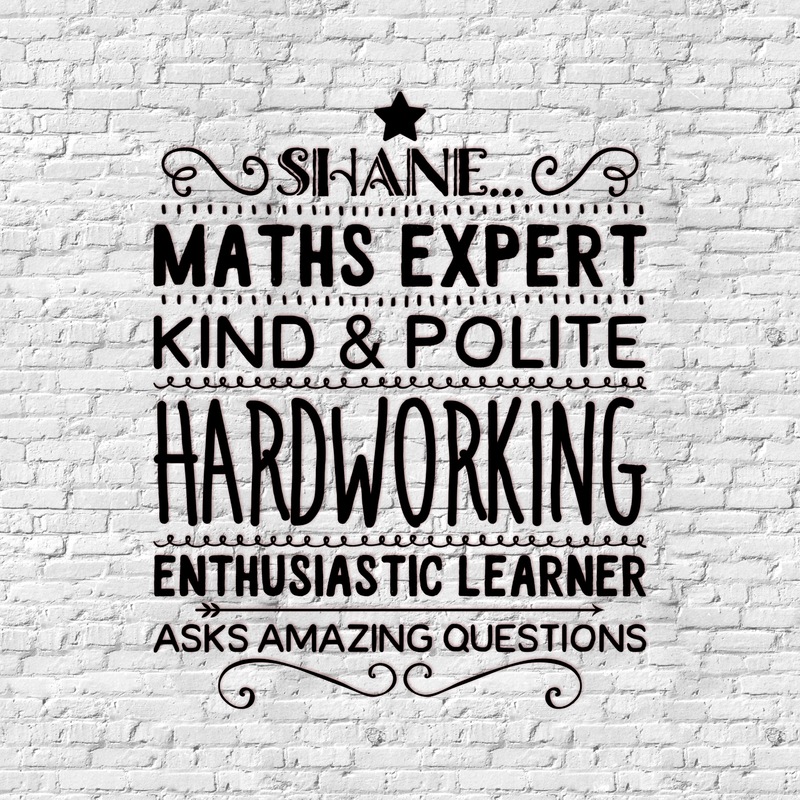 It was so simple that I managed to make a personalised poster for every child in my class whilst sitting on a bus on a school trip! I then printed out the images and placed them into wooden frames (5 frames for £2.50 from Ikea, bargain). The results looked great, so much better than all of my previous gifts put together. The response from the children was brilliant. There was silence as they each listened to what I thought of them, they proudly showed and shared them with their friends, and one girl actually cried! One of the best end of year moments I have ever had, and for such a small amount of work. I have since used Typorama to create learning mantras, slogans and classroom charters. I am also in the process of making posters showing Alan Peats Exciting Sentences for use with my class. My advice: spend £2.29 on Typormama. It’s brilliant. I *love* this! That’s this year’s “What will I get them at the end of the year?” question answered! I’ll start compiling my lists now so that they’re done by July! Honestly, cheapest, easiest personalised gift ever. And they loved it, some so much there were tears! Best £2:29 ever! 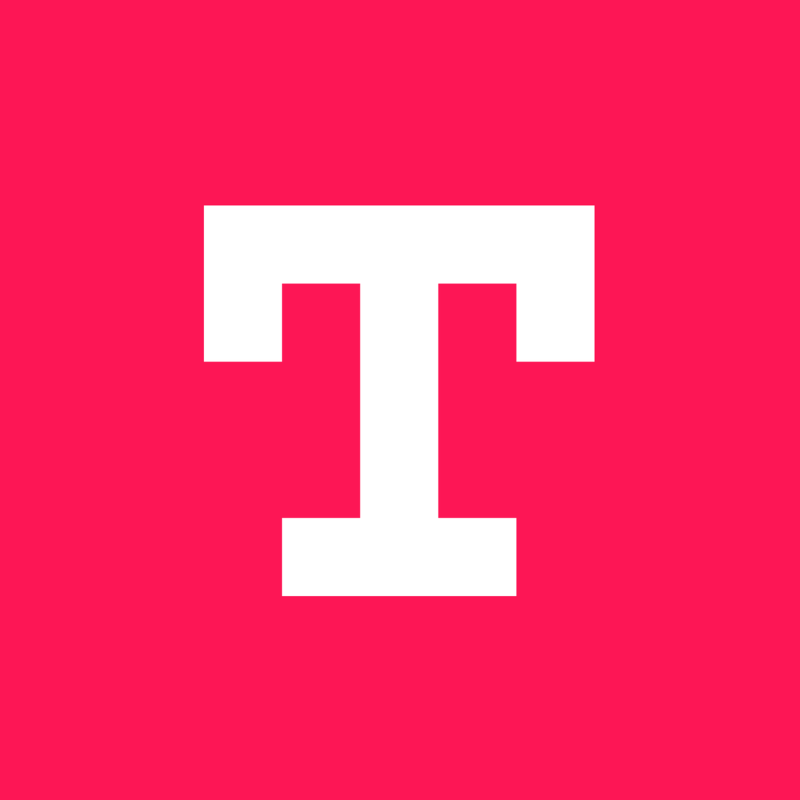 I can’t find typorama as an app on playstore? Rochelle, try Adobe Spark Post to do the same kind of thing. You can do these from the Adobe website. Could I ask what size you printed the posters out on? what size frames did you buy? Love this idea. Had a play on the app but can’t figure out how I would print them. Am I missing something?! No, you can share them using the sharrow (share arrow) and send them by email to yourself, or by printer app. You can also take your iPad/iPhone to any photo shop and print from there, that’s what I did last year.